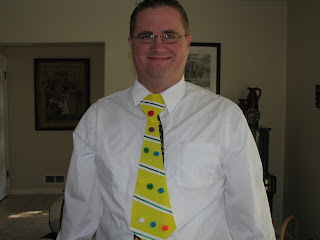 The girls made a tie for dad to wear to church. The girls did a great job! Their cousins, Sabree and Oliver, made one for their dad. Then the four older grandkids helped make Grandpa's. 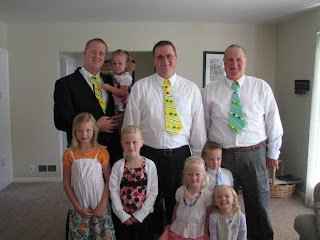 The guys sported the ties well! They turned out really cute. Thanks Bart for being a great dad to the girls! I love you! Our Little Guy is Here!